Many people have voiced concern over a perceived increase in forest fires. 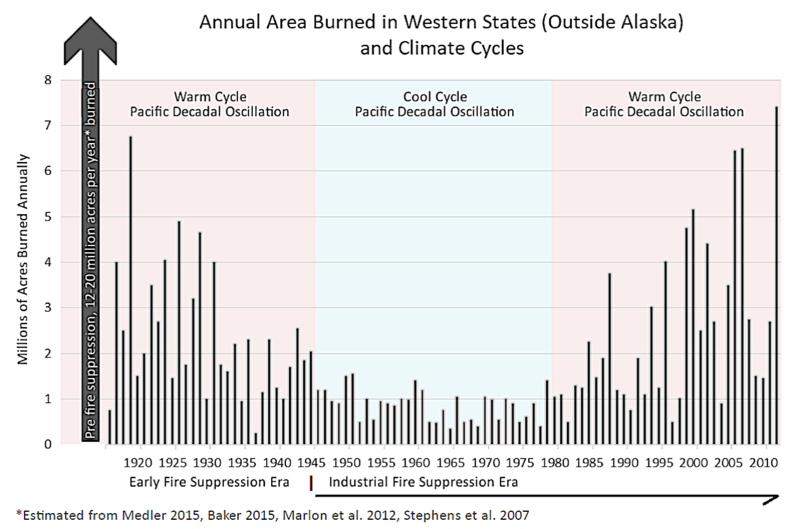 But the report looked over long historical timelines and found recent amounts of forested acres burned, and high-severity burned acres each year, are still within the natural range of variation for the past century, and far below the normal tens of millions of acres burned before the 20th century. Fires have been increasing in recent decades due to three factors: climate change; human-caused fire ignitions (including fire suppression operations such as burnout and backfires); and conversion of areas of fire-resilient native forests to more flammable plantations. 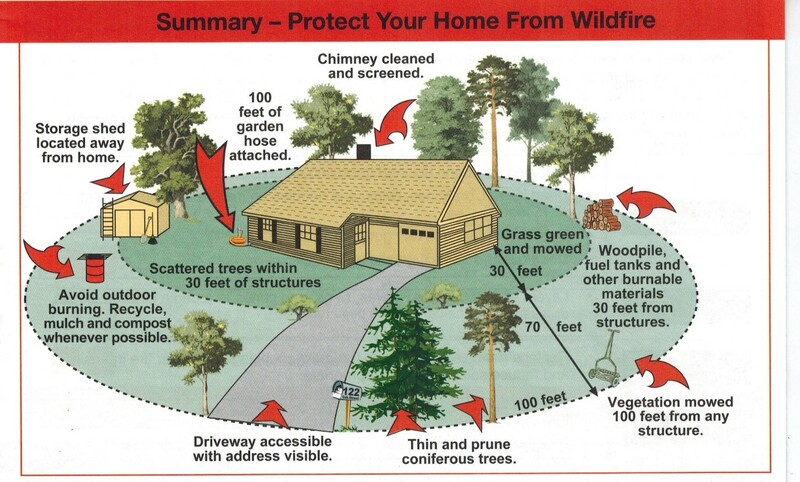 The report emphasized the need to accept a coexistence with forest fire and suggested the most effective pathway is: limit ex-urban sprawl through land-use zoning; lower home ignition factors by working from a home-centered perspective with vegetation management and home retrofitting for defensible space, instead of the wildlands-in perspective of logging to reduce fuels; thin small trees with immediate prescribed burning in plantations while prioritizing wildland fire use in forests away from homes; store more carbon in ecosystems by protecting public forests from logging and incentivizing carbon stewardship on non-federal lands; and shift to a low-carbon economy as quickly as possible. Anything less will not achieve the desired results of climate-resilient forests with high biodiversity providing the equivalent of billions of dollars in ecosystem services. The report specified the general limitations of ‘fuels reduction’ thinning, and collateral ecosystem damages. Thinning reduces habitat for canopy-dependent species like spotted owls, requires an expansive road network damaging to aquatic ecosystems, can spread invasive and flammable weeds, and releases more carbon emissions than fires. There is also a very low probability (3–8%) that a thinned forest will encounter a wildfire during the narrow 10-20 year period of reduced ‘fuels’, so large-scale thinning proposals that alter forest conditions over large areas and release huge amounts of carbon have a very low chance of ever affecting a wildfire. Thinning is seldom cost effective, requiring public subsidies or the commercial sale of large fire-resistant trees. In some regions (Sierra Nevada, Klamath-Siskiyou), time since fire is not associated with increasing fire risks due to fuel build-up—actually the opposite is true because as these forests mature, they become less flammable. At regional scales, active management (unspecified forms of logging) has been associated with higher levels of high-severity fires, indicating logging tends to heighten fire risk. Most importantly, thinning efficacy is limited under extreme fire weather, the principal factor governing large fires. 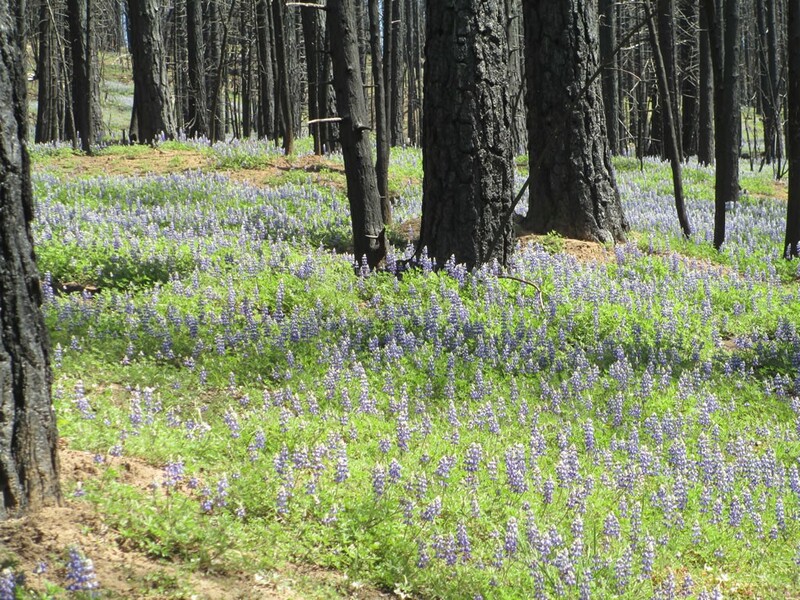 The report ended on a hopeful tone, listing forest management options that are compatible with western forest resilience and fire-mediated biodiversity in a changing climate. Climate robust conservation means protecting carbon-dense forests nationwide as a foundation for safeguarding biodiversity and ecosystem services, reducing land-use stressors, connecting landscapes for wildlife migrations, and reducing carbon emissions from logging. More information:DellaSala, D.A., T. Ingalsbee, C.T. Hanson. 2018. Everything you wanted to know about wildland fires in forests but were afraid to ask: lessons learned, ways forward. Forest Legacies.